Enviro Clean offer a complete service for domestic residential customers providing an unrivalled service once per month which is the envy of the industry. 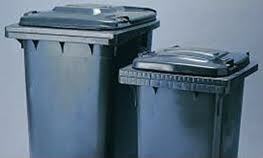 The process of cleaning, disinfecting and deodorising wheelie bins is difficult, if not dangerous to do. But wheelie bin cleaning is now considered to be an important factor towards reducing the risk of bacterial build-ups that are responsible for common cold and viral infections, not to mention the majority of food poisoning cases in the UK. Enviro Clean provides a quality on-site cleaning service for residential customers that makes sure your bin is cleaned, disinfected and deodorised. Our service provides value-for-money and we will make sure that there is no mess left behind afterwards. Each bin goes through the same cleaning process, it is lifted by into the wash position, where high pressure jets will rid the bin of all dirt and grime. Any excess water is then drained within our custom designed vehicles to be filtered and recycled, the bin is then coated with a disinfectant and deodorised with our unique perfume. With the growing concerns of the fortnightly collection being introduced by more and more councils, a dirty smelly bin is what everyone is concerned with the most. 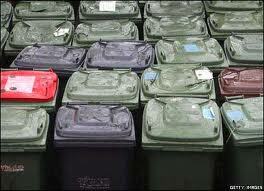 Enviro Clean can combat this with our environmentally friendly cleaning process.